Each side of the valley Napier is blessed with a number of productive vineyards and is home to a few outstanding boutique wine farms, Jean Daneel , Skipskop, The Drift and Dabar. Right on our doorstep are some of the youngest and most exciting wineries in the Overberg that are gaining much popularity. 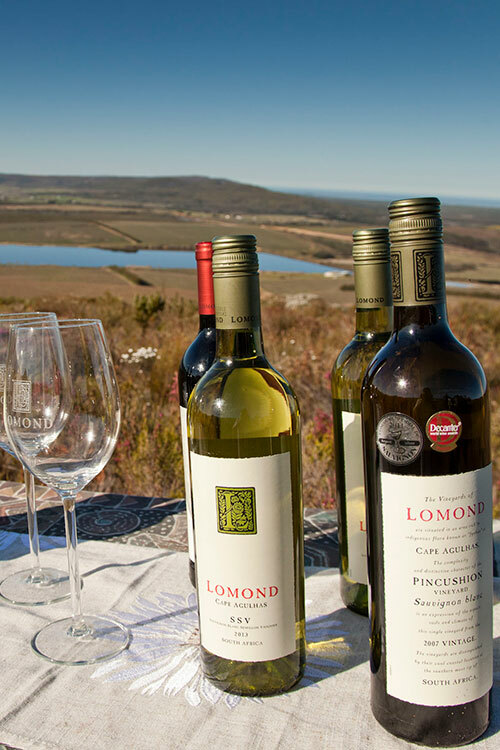 Situated close to the most southerly tip of Africa the untamed terroir, coastal breezes and fresh mountain streams combine to produce exceptional quality cool-climate wines that are crisp with intense fruit flavours on the palette. This year’s Napier Wine & Patatfees is proud to collaborate with The Elim Wine Growers Association. Buy a Wine-Tasting ticket from the Elim Wines Marquee by JD Bistro and receive a free wine glass with our compliments. Skipskop Wines is a boutique Overberg winery, dating back to the planting of a block of petit verdot vineyards in 1999. The vineyards were planted in the garden of a house overlooking the Klipdrift River in Napier. The vineyard expanded over the years; until 2012, when Skipskop wines officially launched. In that year, the old barn above the house was converted to a red wine cellar. A white wine cellar was added in 2014. The Drift is driven by a desire to make individual, superb quality wines with exceptional character. The wines are assiduously crafted by winemaker, Bruce Jack, using the grapes grown only on their farm in Napier – and capturing the extreme growing conditions that characterise the mountain farm. Arrive by 11am to see our fabulous parade pass by! Taste some of the award winning wines that we take for granted in this unspoilt part of the world.